Having provided Cad services over 25 years our professional services team are experienced in delivery of both small and large projects on time and within budget, call us today to discuss your requirements. From static images to motion graphics, product presentations, 3d animations and more. We look forward to helping with your visualisation project. 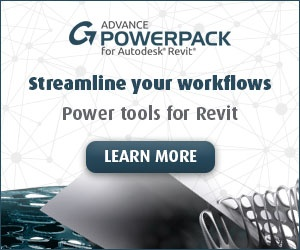 Revit content creation services from retail, to manufacturers in the construction supply chain. Our experienced team is ready to help deliver your BIM ready content. From retail space planning tools, product configurators or bespoke productivity software, call us today to discuss how our developers can enhance your workflows. Infrastructure, servers, workstations or office Pc’s, our experienced IT support services team can help deliver your IT refresh project at an affordable cost. 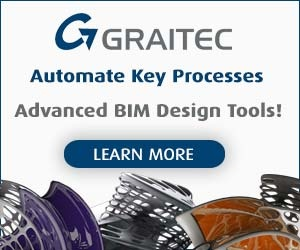 Graitec Ltd - Autodesk UK Resellers. Graitec Ltd. now incorporating Adris Ltd and MicroCAD ltd are a leading supplier of Autodesk software, and one of the longest established Autodesk UK resellers in the country with extensive experience in not only the supply of Autodesk CAD software packages, but also the ongoing implementation and roll out of Autodesk and bespoke business solutions and hardware/networking infrastructures. This ensures that our clients enjoy the maximum return on their investment in Autodesk and software technology. As early adopters of Autodesk technology we have continued to invest in developing and growing our skilled and industry experienced technical team to address the ever evolving needs of modern manufacturing and construction companies, and also many other industry disciplines. By adopting a proactive and customer centric approach beyond just the supply of AutoCAD© software, we have ensured that Graitec continues to be the preferred Autodesk supplier and Autodesk consulting partner for many local and national businesses, Government departments and high profile global blue chip organisations looking to adopt and benefit from world class Autodesk technology. Our commitment to our clients is further enhanced through our dedicated Graitec professional services team, who have an excellent track record in helping businesses drive productivity and successfully adopt Digital Prototyping technologies like the world class Autodesk Inventor software family, as well as helping Architects and engineering companies effectively roll out or plan the implementation of Autodesk Revit and BIM (building information modelling) solutions, and other Autodesk technology throughout their businesses. The team also provide aditional CAD services such as 3D modelling, 2D drafting and 3d visualisations & animations.